In January, MealFlour started our 6-month follow up with the women in Candelaria. The home visits allow the women to ask any additional questions they might have and allow us to check-in on how the farms are doing. To improve the training program for future communities, MealFlour also conducted an exit survey. The survey asked for feedback on lessons and tested the women's knowledge of mealworm farming. Two Universidad de San Carlos medical students, Kevin and Carlos, volunteered to help administer the surveys to ensure the anonymity of the participants. This month we welcomed a new volunteer to the team, Caitlin West! Caitlin will work on our city outreach and operations in Xela; assisting with the farms and working with the team to build a rooftop greenhouse and compost-heated farm. We are also in the process of recruiting a University of Chicago student intern, who will be joining us in Guatemala this Summer for 10 weeks. We want to thank everyone for your generous support during our 2016 crowdfunding campaign. Because of your help, we can extend our program to help even more communities this year! Congratulations to our raffle winners who will receive a batch of MealFlour cookies; Nathalia Cibotti, Scott Loring, and the Verspyck family. Missed the crowdfunding campaign window? 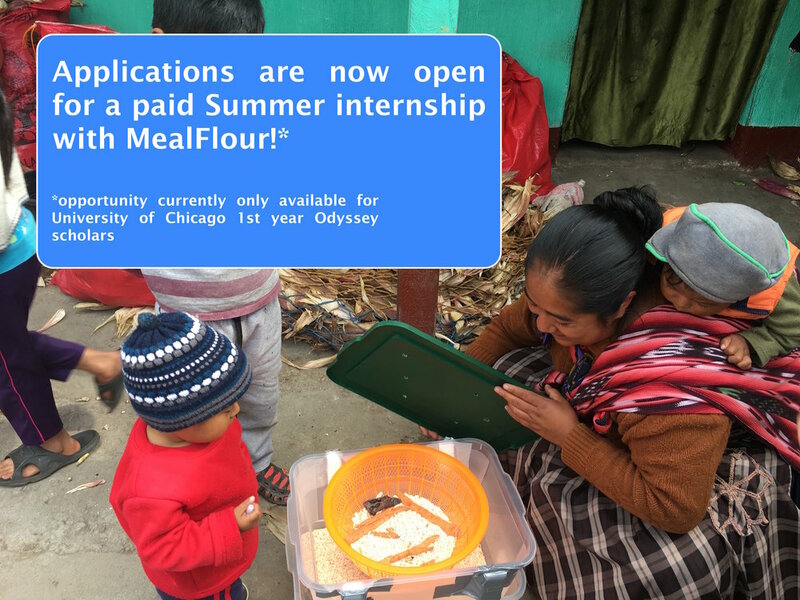 MealFlour's donation line is now open!